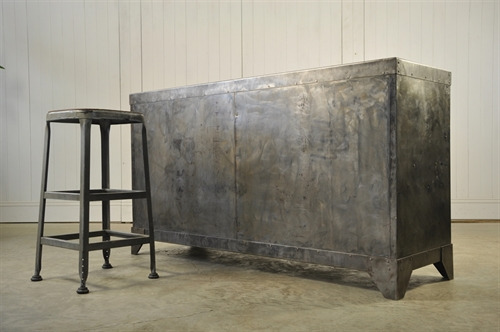 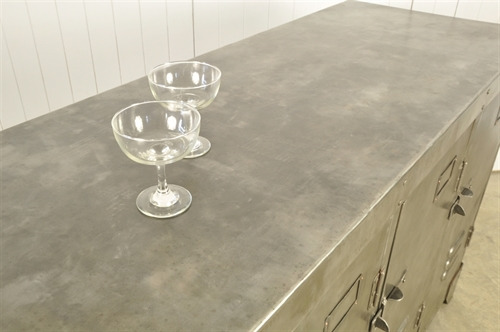 Industrial Steel Sideboard - Original House – Decorative Antiques, Vintage Industrial Furniture and Lighting, Cotswolds. 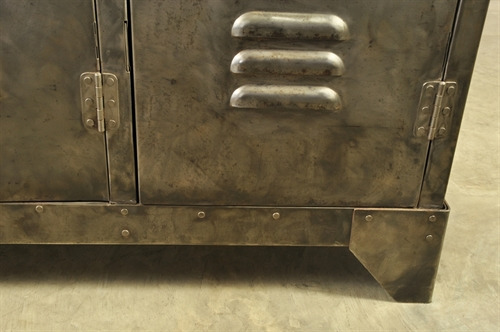 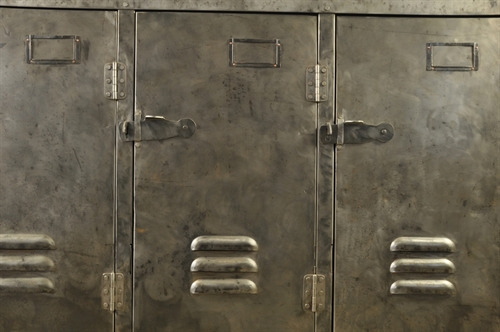 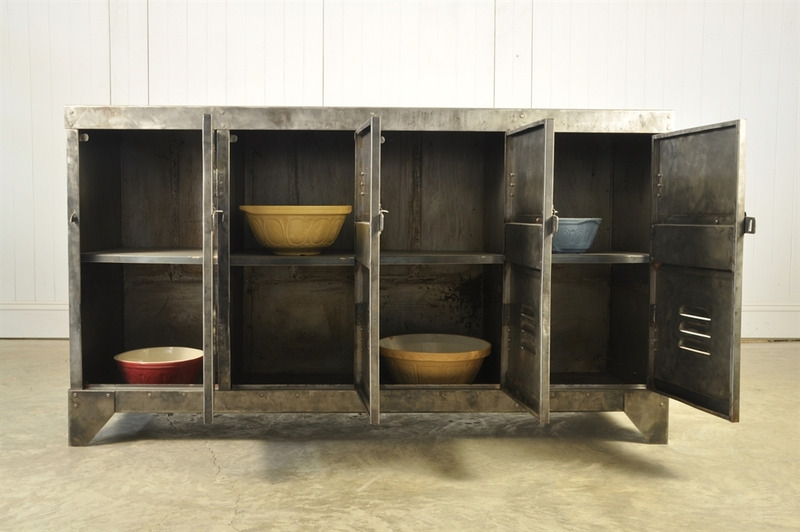 This vintage industrial steel cabinet / locker was sourced from a factory in Belgium. It has been stripped back, burnished and oiled. 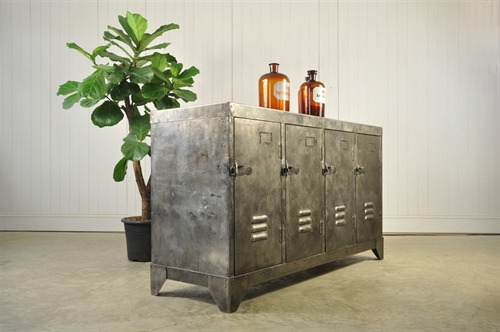 A well proportioned piece of industrial furniture - beautifully constructed with rivets. 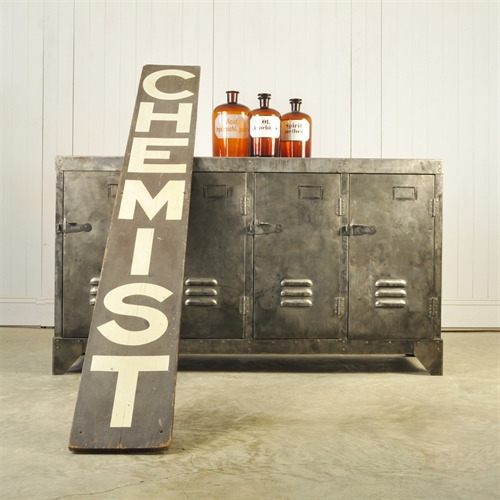 The Chemist Sign is available.